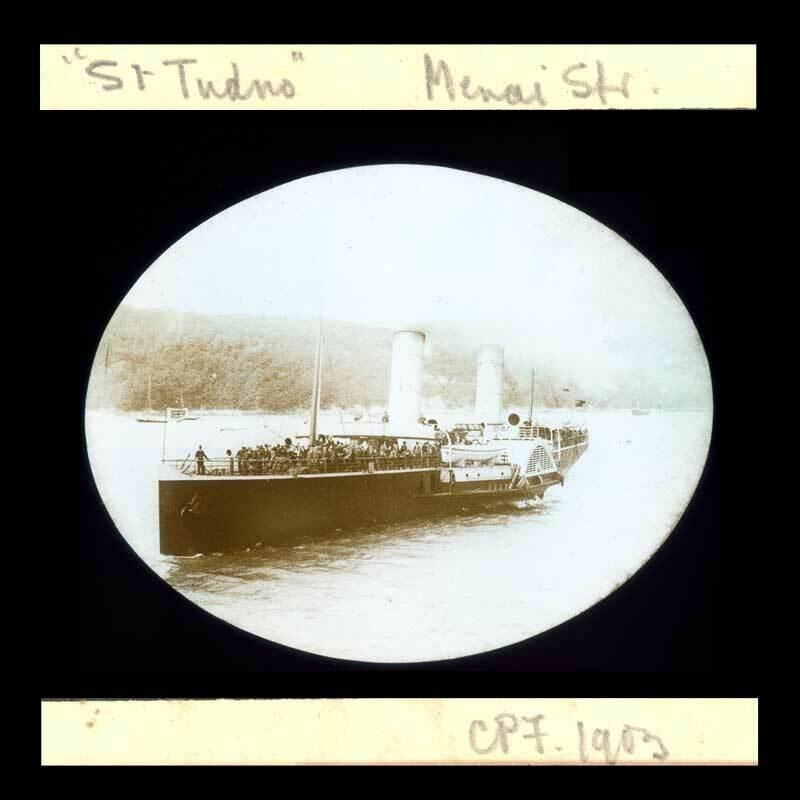 Description : The paddle steamer "St. Tudno" in the Menai Strait, Wales. She later became the U.S.S. Tudno.